Catches of Atlantic sardine are highly variable, partly due to the impact of environmental changes caused by the Mediterranean Oscillation Index on survival. Catches started increasing as of 1990, peaking in 2001, before declining again. Croatia, Turkey, and Algeria catch the majority of the Atlantic sardines in the Mediterranean. In 2012, almost 33,000 tonnes of msotly canned sardine were imported into the US, of which 400t were from Spain, and small amounts were from the other Mediterranean countries (Spain, France, Italy, Slovenia, Turkey). Several different populations of Atlantic sardines exist in the Mediterranean. Some of these populations are depleted, and many are below the abundance required to produce the maximum sustainable yield. Other stocks are of unknown status which is of concern. Overall, the Atlantic sardines are overfished except in the Aegean Sea.vWhen caught in international waters, the Atlantic sardine fishery is managed by the General Fisheries Commission. 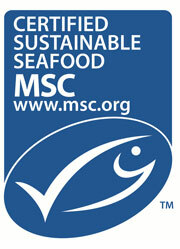 Each Mediterranean country also regulates the fishery individually. Management is ineffective except in the Adriatic Sea. Atlantic sardines are caught together with other pelagic fishes such as European anchovies, mackerels, Spanish sardine, and sprat. Most of these species are retained, making them incidental catch. 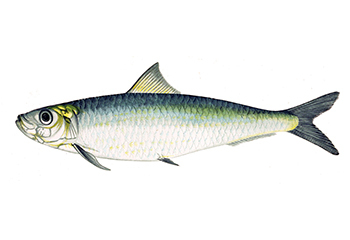 The bycatch of concern includes chub mackerel, as it may be overfished, as well as the threatened short-beaked common dolphins. Purse seines and pelagic trawls cause little habitat damage since they do not touch the seafloor. However, there are concerns over the removal of Atlantic sardines from the ecosystem as they play an exceptional role in the ecosystem as a prey item of many different species. Market availability: Lack of traceability is a challenge. While sardines are imported to Canada, mostly in canned form, the exact species is not always specified, and it is also not always known whether the sardine originates from the Mediterranean.